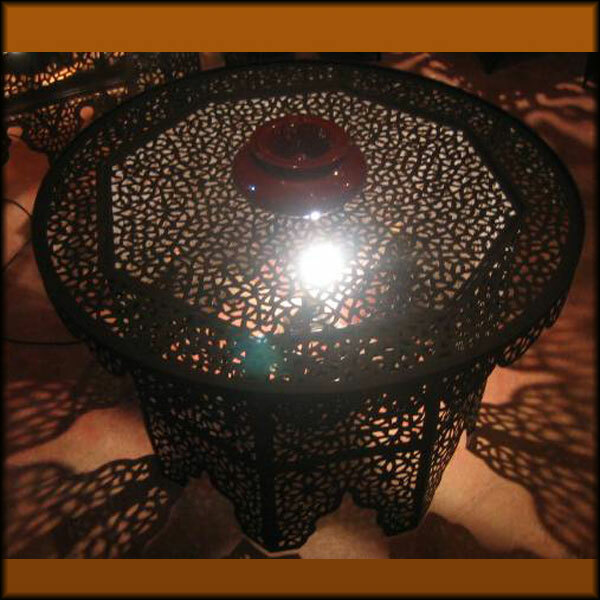 Great metal coffee table with numerous cut-outs. This table comes with an electrical kit for an unusual way to light your room. Measurements are 32″ in diameter and 20″ in height. Please call for a shipping quote.